Hundreds of men and women who work in the state’s oil and gas fields flocked to the state Capitol this week to protest a bill that, if passed, will impose dramatic changes on the way oil and gas drilling is conducted in Colorado. Workers filled the halls of the Capitol ahead of what ended up being a 12-hour committee hearing on the proposed legislation. Many who lined up to testify said they feared the new regulations would end up costing them their jobs. Also waiting to testify was Dan Gibbs, the newly appointed executive director for the Department of Natural Resources. The 43-year-old from Breckenridge will play a key role in guiding oil and gas regulators — who work in his department — through any regulatory changes. The bill, which is expected to win approval of the Democrat-controlled legislature and Gov. Jared Polis, calls for landmark regulatory changes, including elimination of the mandate that state regulators foster oil and gas development. Gibbs, a former county commissioner and state lawmaker, has made it clear that he supports the bill, especially a provision that would give local communities more say in permitting decisions. Current Colorado law says that responsibility for regulating fracking falls to the state. Still, several cities across the Front Range have sought in vain to control drilling within their borders, including outright bans. As a state representative, Gibbs helped strengthen regulations over oil and gas, sponsoring a bill to protect wildlife from drilling impacts. He brings his more regulation-focused perspective to the department on the heels of a record production year for the $31-billion industry. During his testimony, Gibbs said he heard similar fears of job cuts when he was a lawmaker working on oil and gas bills. “We didn’t see any evidence of any job loss as a result of these bills. In fact, there was an increase in activity from 2007 to what we see now,” said Gibbs, who was sitting next to Erin Martinez, a survivor of the Firestone explosion in April 2017. Her husband and brother were killed. Gibbs grew up rafting, fly fishing, skiing and ultrarunning. He wears a sports watch and carries his wildland firefighting red card at all times. He worked for former U.S. Sen. Mark Udall in Washington, D.C., served as a state representative before being appointed to the Senate by a vacancy committee, and has been elected Summit County commissioner three times. The Department of Natural Resources, made up of 1,465 employees, oversees drilling, mining, water management and state parks in Colorado. In addition to navigating changes to Colorado Oil and Gas Conservation Commission [COGCC], the body that regulates and promotes oil and gas development, he will also be responsible for another urgent challenge: trying to figure out how to pay for the Colorado Water Plan. The plan, which will cost an estimated $100 million a year to implement, is part of a solution to avert projected water shortages due to population growth, climate change and obligations to other states and tribes that rely on the Colorado River. We spoke to Gibbs before Tuesday’s marathon Senate Transportation and Energy committee hearing, and again afterward. Our conversation has been edited for clarity and brevity. You spend a lot of time outdoors. Is there anything you’ve seen that for you really exemplifies climate change? That’s when former Gov. Bill Ritter was giving his State of the State address. Yeah, he actually mentioned me. ‘As we speak, Dan Gibbs in on the fire line.’ Never did I think I would be fighting a fire in Colorado in January. But that just shows how clearly things are changing. You know, in Summit County, we have 156,000 acres of dead trees as a result of the mountain pine beetle. It was like a slow-moving tsunami, moving from Grand County into Summit County. … I mention this because the mountain pine beetle is a situation of climate change where the winters historically have not been cold enough. What do you think the economic impacts of oil and gas drilling in Colorado are? There can be a balance with doing things in a more environmentally friendly way while recognizing the economic impacts of having oil and gas industry do well in Colorado. I don’t think it’s either-or. I worked on a bill that added a higher level of wildlife protections for oil and gas. … I was in the committee room. It was packed full of sportsmen wearing camo and blaze orange. And I also had support from oil and gas industry. At that time they were willing to be supportive of this particular bill, believe it or not. As a local government person, formerly as a county commissioner, county commissioners are in charge of looking at health, safety and welfare of people that live in that community and visit. … If someone wants to build something they have to go through a planning process to get approval. If they want to mine something — you know we have a lot of historic mines in Summit County — they need to get a [permit]. We have a gravel pit. And people had concerns about the trucks going by their house. Well, we can make sure the rocks are covered. We can mitigate the times of operation. We can make things more doable for people that have to be directly impacted by that. What about the economic impacts of drilling on industries like the outdoor recreation industry? I’m wondering if you think the economic impacts of drilling and coal mining go beyond just the jobs of the people that are working in the oil fields or the coal mines. I don’t think we need to pit one industry against another. I wouldn’t even call it the recreation industry because, where I live, it’s the environment that’s the economic driver. So the more we can protect the environment, the more it is beneficial to our economy. And I think that’s reflective of many parts of Colorado. How do you reconcile those two competing imperatives: to protect the environment, while at the same time protecting an industry that offers good-paying jobs and provides money for your department. We need to look at ways we can protect people, protect the environment, and people’s way of life. I think oil and gas can do things in a way that is not harmful to people’s health. I think there is a way to do it. I don’t think you need to set up oil and gas wells right next to where people live. I think there are ways to do better environmental monitoring of wells when they are close to where people live or when they are close to critical water storage areas. I think we can do things in a more environmentally friendly way where oil and gas can continue to do business in Colorado while minimizing harming the environment. The state legislature wants to do way with COGCC’s role of fostering oil and gas development and make it solely a regulatory agency. What’s your reaction to the bill in the legislature? I think there should be serious reforms within the structure with how we do things in Colorado. I support this bill, Senate Bill 181. I like having local government have a seat at the table if they want to. … Local governments are in the business of regulating land use issues. I’m shocked that local communities have never had the authority to shape land use decisions as it relates to oil and gas. Depending on many truckloads go through an area, things can be mitigated based on how close [that activity] is to homes, how close it is to critical wildlife areas like sage grouse. You’re going to be over at the state Capitol today. You may end up talking to a number of people who work in the industry who will say ‘I’m going to lose my job’ because of this bill. What are you going to tell them? I will say that’s not true. There is no evidence to reflect that this bill is trying to shut down industry in any way. What it’s trying to do is balance oil and gas activity with looking at what’s best for people and their communities. It’s not creating necessarily a veto power. It is adding a layer of oversight that doesn’t exist now. New oversight. So I would say that’s just not an accurate statement. But I’m sure we’ll hear that a lot. The industry is important in Colorado. And the bill, as it goes through the process, will have five, six hearings and discussions in the House and Senate and opportunities to amend. It’s not the ending point, but the starting point. The bill will likely change. I wanted to transition to water. Water projects are funded through severance taxes. And severance taxes are dependent on the production of oil and gas. Would you describe that as a competing mission — on one hand you have these environmental programs that are reliant on an industry that has an environmental impact? It’s funny you say that. Well, not funny. As a county commissioner, we funded all of our recycling programs through tipping fees at our landfills. The more trash we got, the more programs we could fund for diversion. And so, it’s similar, the more oil and gas activity you have in the state, the more we can fund environmental programs. … I think we need a new strategy in terms of how we fund environmental programs. And not just be dependent on severance funds. Looking at other programs I have: the Parks and Wildlife budget is about 85 percent contingent on hunting and fishing licenses. I’m going to be working on a more sustainable funding source moving forward that is not just contingent on hunting and fishing licenses. Should people who recreate, like backpackers, pay more to Colorado Parks and Wildlife? What we have right now for Parks and Wildlife is not sustainable. We need to look at every option on the table. … We really need to be creative to figure out who might be willing to help fund the trail system throughout Colorado and what opportunities exist with new foundations that could help with funding. 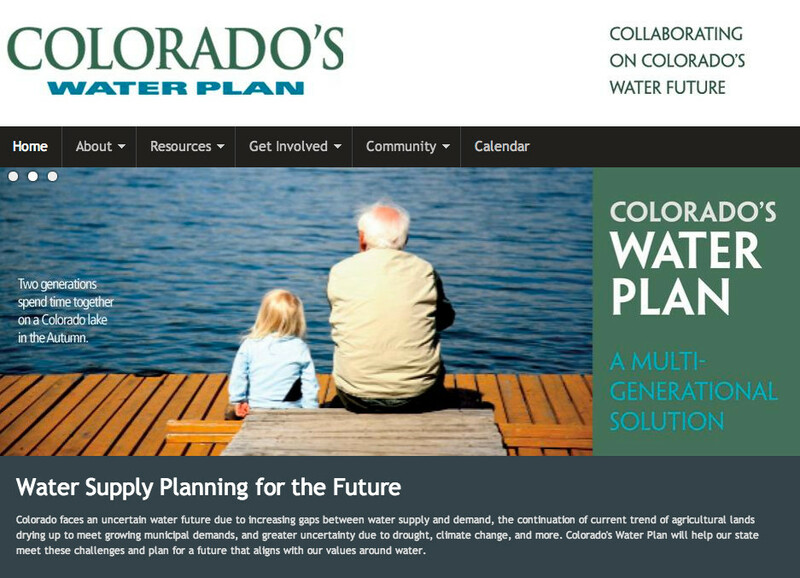 What are you doing to come up with a new funding mechanism or revenue stream for the Colorado Water Plan? I just met with a group of stakeholders. The governor has more or less a line item request of $30 million this year. And that will go along with the [state budget]. And then, on top of that, we have the Colorado Water Conservation Board’s water projects bill, and that’s going to have $20 million associated with that. So we’re going to have $50 million going toward implementation strategies. We need about $100 million [per year] moving forward. I think this is a great place to start. You need a lot of local partners. It’s not just the state flipping the switch. … We have all these folks that are working hard to figure out a plan moving forward. There is talk of a possible ballot question in the future. All options are on the table. When do you expect the Surface Water Supply Index (SWSI) report [which projects Colorado’s water shortages] to be ready? It was supposed to come out years ago. What explains the delay? I don’t know. But I will tell you that I think moving forward it’s important that we do regular updates to SWSI. Climate change, population growth, and a variety of different factors impact water availability. I think we need to get on a set schedule that gives us updates — I’m not saying every year — but fairly frequently. That will help us set policies going forward. Water shortages are projected in future years and there is no clear way to pay for the water plan. You still have oil and gas and local communities duking it out in the suburbs. There are a lot of pressing issues without easy answers. This job will pay about $160,000, but aside from that, what made you want to take on this challenge? I think daily about my young kids and the fact that I could be in this position right now and I can shape how we manage natural resources right now, but have an eye on what Colorado will look like in the next generation, in future generations. That really appeals to me. Working for a governor like Jared Polis, I support his vision of protecting the environment, understanding that protecting the environment is the best way that we can protect our economy in Colorado. I think about the employees that work here for DNR. We have amazing staff here and ensuring that they are OK in the jobs that they have. But any day I could hear about an oil and gas explosion similar to Firestone. That definitely keeps me up. I worry about hearing about the mountain lion attack in Fort Collins and then looking at strategies that we have to deal with lions. This jobs is so diverse. Folks can call me at two in the morning with catastrophic situations like Firestone. Someone might call you up and bring you out to the fireline, too, right? Yeah, exactly. I get nervous about oil and gas. But once it hits summertime, I feel like we are one lighting strike, one unattended campfire, from having a mega-fire in Colorado that would have devastating consequences. At the invitation of Doug Kemper, executive director of the Colorado Water Congress, I presented the keynote address at its annual meeting Jan. 31. My presentation was on water as a business risk and opportunity, and the role of innovation — technology and partnerships, among other things — in solving water challenges. One of the water challenges discussed at the gathering is close to the organization’s Denver home: the Colorado River Basin. The timing of the Colorado Water Congress (CWC) meeting and my participation in the annual meeting was timely, as the Colorado River Basin states had until the end of the day to agree to finalize the Drought Contingency Plan (DCP). The CWC is an important organization that brings together stakeholders that are engaged in managing water in Colorado. This includes state government, water utilities, NGOs and other interested parties such as the private sector. Two of the more prominent discussions at the CWC meeting were the DCP negotiations and how to fund the implementation of Colorado’s Water Plan. Central to solving both challenges is engaging the private sector. However, there was little discussion, if any, about the private sector’s critical interest in finalizing the DCP and ensuring the implementation of Colorado’s Water Plan is funded. 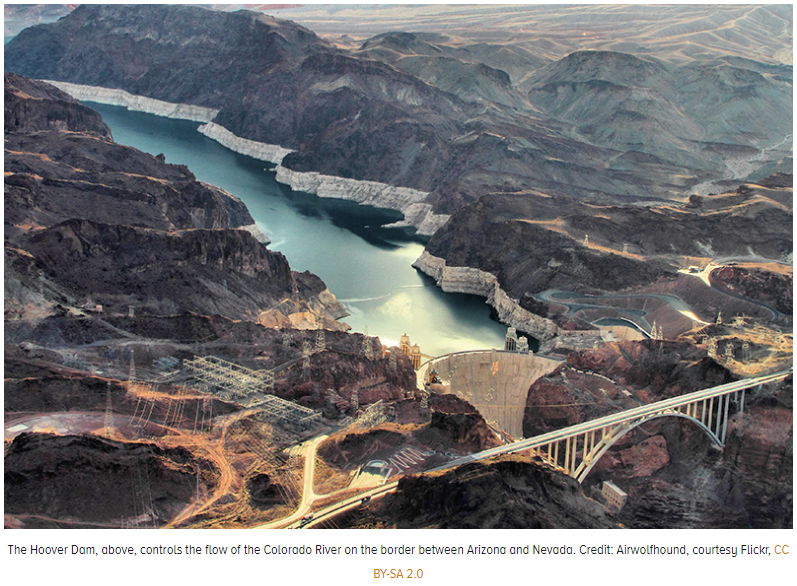 The economic value of the Colorado River Basin is significant. It represents about $1.4 trillion in annual economic activity, the equivalent of about 1/12th of the total U.S. GDP, or roughly 16 million jobs. It is estimated that if 10 percent of the river’s water were unavailable, there would be a loss of $143 billion in economic activity and 1.6 million jobs in just one year. 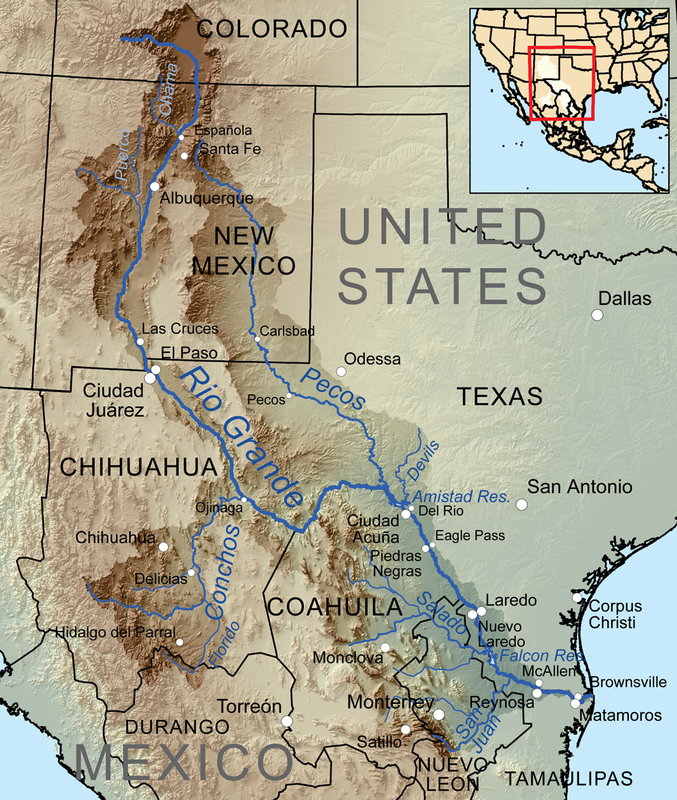 The Colorado River Basin has two main reservoirs, Lake Mead on the Arizona-Nevada border and Lake Powell upstream. The combined storage of these reservoirs is at the lowest level since the early 1960s. As a result, if the water level in Lake Mead falls to an elevation of 1,075 feet, water deliveries to Arizona and Nevada would be curtailed. This is a real possibility next year. The goal of the DCP is to spread the curtailments more widely and eventually include California. Essentially, the plan advocates for keeping more water in Lake Mead to keep it from falling drastically and avoiding severe curtailments of water delivery to the Lower Basin states. Accordingly, on Feb. 1, the U.S. Department of the Interior’s Bureau of Reclamation (the bureau has broad authority to manage water supplies in the Colorado River’s Lower Basin) stated that since two states — California and Arizona — missed the deadline to reach consensus, the federal government could intervene and decide the rules. The agency’s commissioner, Brenda Burman, said she prefers that the seven states that rely on the river reach a consensus for how to protect the basin. But she said, “We are close, and I applaud those who have worked to get us close but only done will protect this basin,” she told reporters. “Time to get the job done.” So, as of this writing, the future is still uncertain. Arizona lawmakers did pass legislation supporting the drought plan, and Gov. Doug Ducey signed it. Arizona was the only state that required lawmakers to review the plan. Now, water users must sign 15 agreements that address water storage, conservation and other details. James Eklund, Colorado’s representative on interstate river negotiations, said he wasn’t surprised or discouraged by Burman’s position. “You’ve got to stick with deadlines or sometimes people won’t take you seriously. She wasn’t draconian about it,” Eklund said. While there has been much discussion of the positions of the various state and federal agencies on the DCP, the substantial interest and influence of the private sector only seems to be marshaled in times of crisis. The Arizona business community, for example, seemed to weigh in on the DCP discussion only at the proverbial 11th hour. But the legislation it supported passed overwhelmingly. 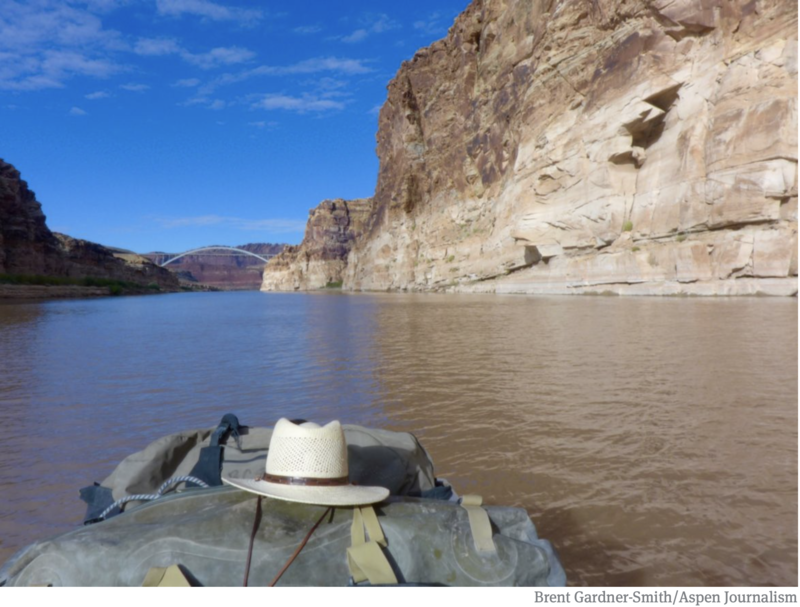 Regardless, it is long overdue for the private sector’s strong voice on how to implement long-term solutions to manage the Colorado River Basin to be heard. A positive development: State Colorado River principals, such as Colorado’s Eklund, are asking the business community to weigh in, by engaging business groups such as the Denver Metro Chamber of Commerce. We are not experiencing a “drought” — in my view, this situation is a result of overallocation of the Colorado River Basin water coupled with the impacts of climate change. It’s time for businesses to speak up and for them to ally with organizations such as the CWC, The Nature Conservancy, Business for Water Stewardship and other organizations to ensure there is sustainable water for economic development, business growth, ecosystem health and social well-being. Newly inaugurated Governor Jared Polis had a low-key and positive start on water. His natural resource transition included Hickenlooper’s in-house water expert, John Stulp. Water policy in his State of the State address was only one paragraph, but it succinctly supported the State Water Plan and advocated getting it funded. He linked Colorado’s water to its agricultural needs, which is one of the key principles of the plan. That is, preserving agriculture in Colorado requires intelligent and prudent water management. Dealing with the water gap that is well identified in the State Plan is essential to protect irrigated agriculture and support the state’s quality of life and economy. The largest number of residential, business and agricultural water users are in the Arkansas and Platte basins. Their needs must be balanced with other users and uses, including recreation, wildlife and aesthetics.